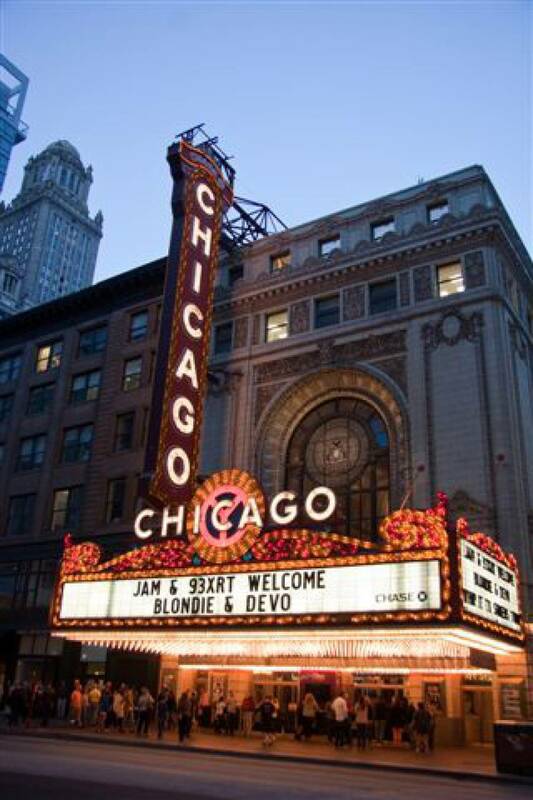 DEVO & Blondie on the marquee at the Chicago Theatre in Chicago, IL – 9/26/12. Blondie opened for DEVO at this show. Photo by Javier Ayala.